What is the Objective of a Business Blog? Recently I’ve been noticing that a lot of my customers know that they need a WordPress blog for their business’ website but they are unsure as to the why. As a result, it is unclear to them what to do with their blog once it is created. These conversations have prompted me to share some of the ways I see a business’ blog impacting their website effectiveness and customer base. So, what is the objective of a Business blog? Each of these ways offers an opportunity for your customers to connect with you. Some customers may know that they are ready to work with you and will call or email your business. However, for those that are unsure, you need to offer them a variety of ways to connect with you. If a customers’ only options are a phone call or browsing the website; you will find that your business will lose many potential customers. They might not be ready to take the leap of hiring you just yet. 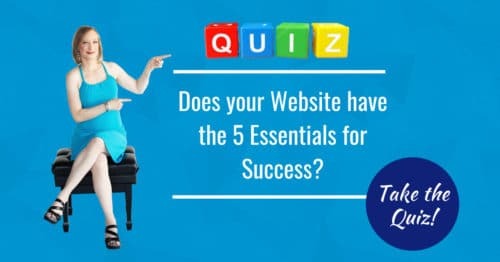 Instead, by offering stepping stones of connectedness, customers can start by browsing your website and WordPress blog to learn more about you, your business and your knowledge base. They may then choose to subscribe to your newsletter mailing list. Then with time, they will be ready to take the step of a phone call or email. New content simply means new text containing information on things relating to your business. First, new content gives your customer a reason to come back and look at your website. Secondly, new content attracts the Search Engines to your site, resulting in them viewing your website as current and relevant. Google’s goal is to provide searchers with websites holding information on what they seek. The more relevant content you have on your WordPress website & blog, the more your site is seen as a valuable resource. This results in higher placement in the Search Engines. This is key as most customers prefer to scan headers and lists. Not wade through paragraphs of information. A WordPress blog allows those paragraphs of information highlighting your expertise to remain on your website without compromising the sale pages of your site. It is essential that you are able to control the content of your business’ blog on your schedule, not your web developers. There is nothing more frustrating than needing an edit done asap and having to wait on another. With a WordPress blog, you can add / edit content at any time. All you need is access to the internet.